Product categories of Chain Hoist, we are specialized manufacturers from China, Chain Hoists, Manual Chain Hoist suppliers/factory, wholesale high-quality products of Hand Chain Hoist R & D and manufacturing, we have the perfect after-sales service and technical support. Look forward to your cooperation! 1) Chain hoist is a portable lifting device easily operated by hand chain. 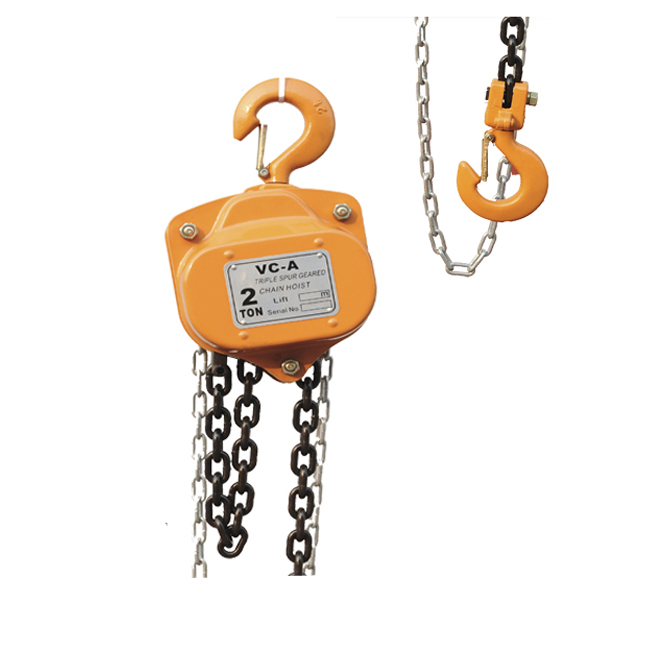 It is suitable for lifting work in the open air and places where no power supply is available, it includes HSZ Chain Hoist, HSC Chain Hoist, HS-VT Chain Hoist, VC-B Chain Hoist, CK Chain Hoist, CB chain hoist, SS Chain Hoist and so on. 2) Chain hoist is safe in use, realizable in operation with minimum maintenance. 3) Chain hoist is high in efficiency and easy to pull. 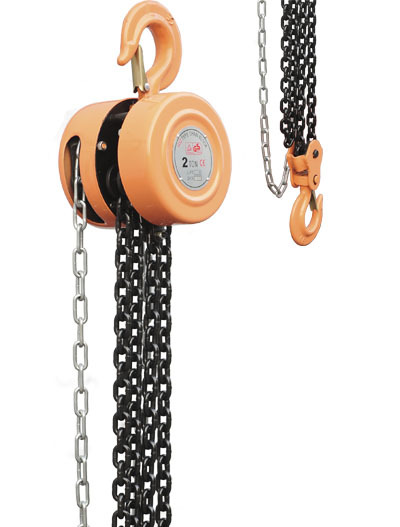 4) Chain hoist is weight light and easy handling. 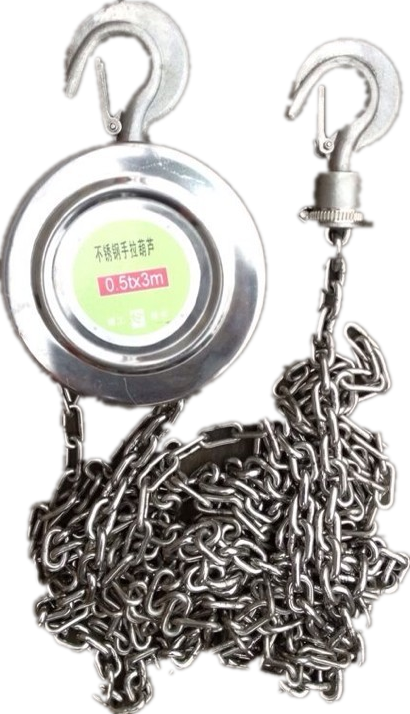 5) These are fine appearance with small size of the chain hoist. 6) These are durability in service. 1) Please inspect the hooks and body, the brake device and the lubrication of transmitting parts and load chain in good condition, and die motion carefully. 2) Don`t use two or more hoists to lift one weight. 3) Overload is strictly forbidden. 4) No hook tip Loading. No direct binding of a load with a load chain. 5) No over lifting. No over lowering. 6) No side pulling and horizontal drawing. 7) Don`t operate with kinked or twisted chain. 8) In case the hand chain pull force exceeds the normal,don`t pull by increasing force. Stop operation immediately and inspect the hoist. 9) No upsetting the hook hanger of the double Chains type hoist. 10) Keep anybody out the place under the loading. If you have any questions, please contact with us directly. Welcome you can visit our factory. For inquiry, please send email directly to us.